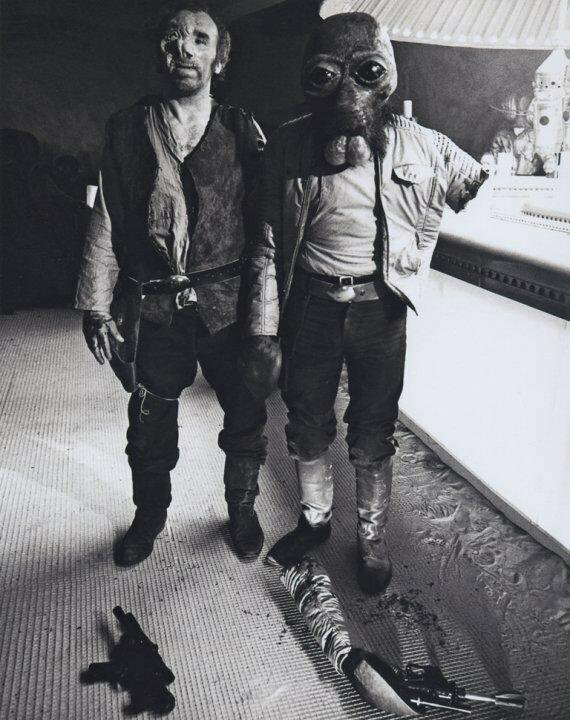 Backstage photo of Dr. Cornelius Evazan (left) and Ponda Baba, the Walrus Man (right). Courtesy LucasFilm/Disney. 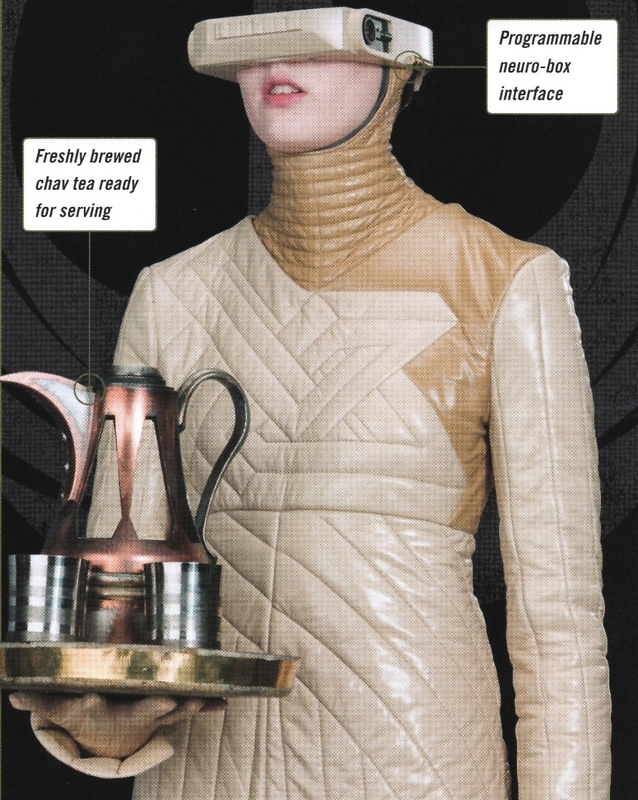 Every Star Wars film features several running gags. “I’ve got a bad feeling about this,” for instance, is uttered in one form or another in every film, including Rogue One: A Star Wars Story . Another hallmark of Star Wars episodic films is that someone also loses a hand or arm. 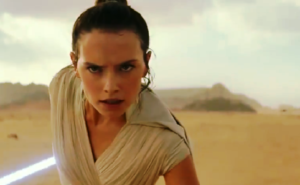 Both the “bad feeling” and the cleaving of limbs originates in the first Star Wars film, 1977’s Episode IV: A New Hope , then merely titled Star Wars. The owner of that first dismembered arm is the Aqualish Ponda Baba, sometimes called “Sawkee.” Both names are given to him later in other media Most Star Wars fans who saw Star Wars during its initial theatrical run or owned early Star Wars action figures know Ponda Baba by his more common moniker, “Walrus Man.” It’s his arm, removed by Obi-Wan Kenobi’s lightsaber, that ignites the gruesome tradition of someone losing an arm to a lightsaber in every Star Wars episode. Chronologically speaking, Baba’s story neither begins nor ends in that cantina. He is also rarely alone. Baba is one-half of a duo, perpetually linked with Dr. Cornelius “Roofoo” Evazan. The cutoff arm that started all the cutoff arms. Courtesy LucasFilm/Disney. Evazan is other man threatening Luke Skywalker that fateful day at Chalmun’s Mos Eisley Spaceport Cantina. Following the lead of his partner, Evazan tells Skywalker in Basic (effectively Star Wars English) that Baba doesn’t like him. No matter how Skywalker tries to demure to the angry pair, both Baba and Evazan continue intimidating and threatening the youth. With drunken bravado Evazan proclaims “You just want yourself. We’re wanted men. I have the death sentence on twelve systems.” A heartbeat later, refusing Obi-Wan Kenobi’s mild placation, Evazan draws his blaster. Baba follows suit, backing up his partner and returning the favor of a moment before. Before either can raise his weapon, Evazan is knocked back against the bar, a smoking line across his chest from Kenobi’s lightsaber, and Baba’s arm lying severed on the sandy floor. Not shown is what happens to the pair next. 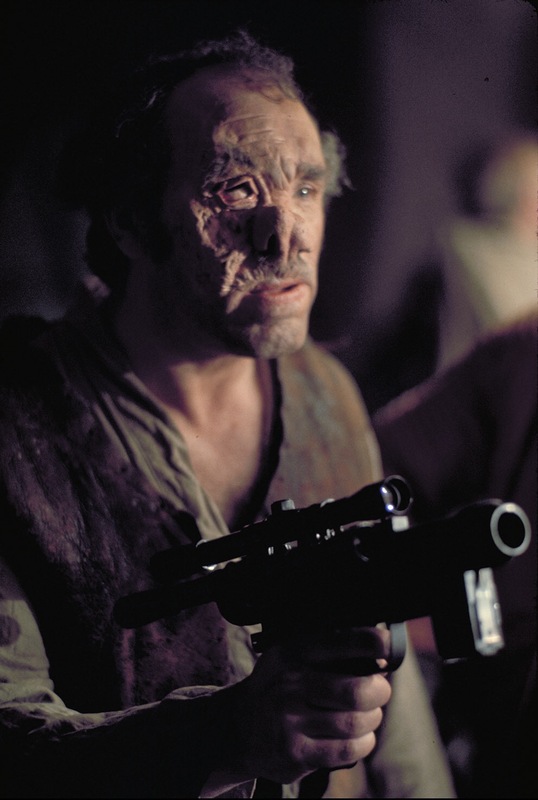 While Kenobi and Skywalker are led by Chewbacca to a private table at the far side of the cantina, Evazan, a former doctor, attempts to reattach Baba’s limb. The procedure fails and nearly kills Baba. Dr. Cornelius Evazan (left) and Ponda Baba the Walrus Man (middle) threaten Luke Skywalker (right). Courtesy LucasFilm/Disney. Dr. Cornelius Evazan is a cosmetic surgeon on Abafar when he begins intentionally disfiguring his patients, rearranging limbs and scarring them horribly, for his own enjoyment. This earns the doctor a contract that bounty hunter Jodo Kast comes to collect. Kast is foiled in his attempted capture of Evazan by Baba who intends to collect the bounty on Evazan himself. Instead, Baba decides against such action and forms a partnership with Evazan instead. Together, the pair become spice runners for Tatooine crime lord Jabba Desilijic Tiure, aka Jabaa the Hutt. Formerly hansome, Evazan receives his own disfigurement during the encounter with Kast. Dr. Cornelius “Roofoo” Evazan. Courtesy LucasFilm/Disney. To conceal his identity, Evazan assumes the alias of “Roofoo” while Baba takes on the name “Sawkee.” Together they run spice, engage in piracy, and occasionally indulge Evazan’s surgical mutilation of other sentients. 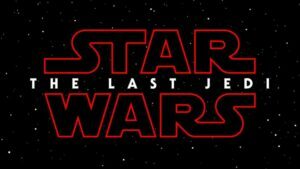 It’s this latter activity that finds them in Jedha City mere hours before the plateau city is erased by the first test-firing of the Death Star’s main weapon. There, Evazan removes the brain and cranial housings of Jedha residents and freedom fighters severely wounded during the ongoing clash between occupying Imperial forces and insurgents. Adding cybernetics to his already unscrupulous surgery repertoire, Evazan, assisted by Baba, convert the hapless victims to living vessels for droid control modules. Dubbing them the Decraniated, the vile duo sell the creations as servants. Ponda “Sawkee” Baba, the Walrus Man. Courtesy LucasFilm/Disney. Both Evazan and Paba appear in every tale about the Mos Eisley cantina on the day Kenobi and Skywalker visit. 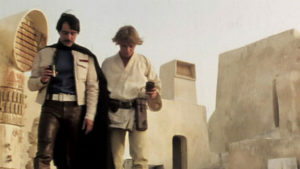 From the A New Hope film itself to its novel, comic book, and radio adaptations, the read-long storybooks, and even in the whimsical Star Wars Pop-Up Book , though their names vary between uses, which is why each has a full name and a pseudonym, and Baba has the additional sobriquet of Walrus man. Then known only as “Walrus Man,” Paba receives an action figure during the very first Kenner line of Star Wars action figures. His figure is prominent in all advertising surrounding the Kenner line, A New Hope, and Tatooine. It isn’t until the 1981 Star Wars Radio Drama that he is given an actual name, that of Sawkee. When he is given is official name of Pondo Baba in the 1989 Star Wars Roleplaying Game sourcebook Galaxy Guide 1: A New Hope , Sawkee is retconned to be an alias Baba adopted when he began spice running. Named “Roofoo” in the 1981 radio drama, Evazan doesn’t get his full name until 2015 though his clinic, Dr. Evazan Cosmetic Surgery, appears in a 2013 episode of Star Wars: The Clone Wars . Dr. Cornelius Evazan (left) and Ponda Baba the Walrus Man (right) on Jedha. Courtesy LucasFilm/Disney. Despite their close association, Paba the Walrus Man gets more attention beyond the events of the cantina and Jedha City. He alone made the jump to video games in the now defunct Star Wars Galaxies MMORPG, sporting a cybernetic replacement arm. 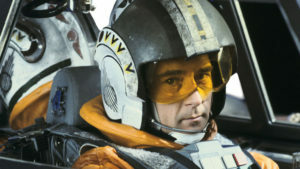 Players who chose a specific character progression path were hired by CorSec (Corellian Security Force) to track down and capture Baba. Evazan was presumably off mutilating orphans at this point. 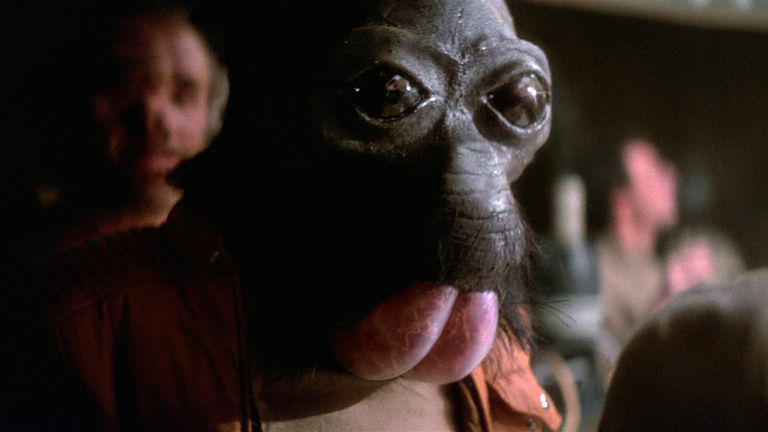 The Decraniated created by Dr. Cornelius Evazan and Ponda Baba, from the Star Wars: Rogue One: The Ultimate Visual Guide. Courtesy DK Children.